The Great Wall of China has made the Lonely Planet’s ultimate holiday bucket list, a list for all types of travellers. In a first-of-its-kind list created by Lonely Planet’s writers and employees, 500 of the best places to see in the world have been compiled in a new book. Those heading on an escorted China holiday soon will be delighted to hear that the Great Wall of China was ranked the fourth best sight to see in the world. The Great Wall of China is a UNESCO World Heritage site and is regarded as one of the greatest wonders of the world as it covers over 13,000 miles from east to west China, crossing grasslands, mountains, plateaus and deserts in the process. This is even more spectacular when you find out that building work started on the first section of the wall around 476 BC, well before any of the technology we possess today was created, and is believed to have taken around 2,000 years to have been constructed. 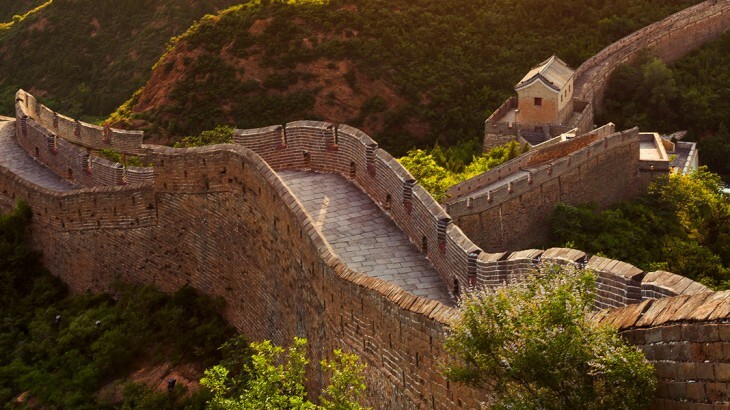 The Great Wall of China is described in the book as “an awe-inspiring maze of walls and fortifications”. The Temples of Angkor in the jungles of Northern Cambodia was voted as the number one attraction in the Lonely Planet’s Ultimate Travelist, followed by the Great Barrier Reef in Australia, whilst Machu Picchu in Peru rounded off the top three. After the Great Wall of China in fourth, the Taj Mahal, the Grand Canyon National Park, the Colosseum in Rome, Iguazú Falls on the Brazilian and Argentinian border, Alhambra in Spain and Turkey’s Aya Sofya made up the top 10 attractions travellers must see. In an article on the AOL website, Tom Hall, Editorial Director of Lonely Planet, said, “This book has been years in the making and brings together the most compelling places in the world according to our team of globetrotting travel experts. Making up the rest of the top 20 must-see attractions were Fez Medina in Morocco, Twelve Apostles in Australia, Petra in Jordan, Tikal in Guatemala, the British Museum in England, the Sagrada Familia in Spain, New Zealand’s Fiordland National Park, Santorini in Greece, the Galapagos Islands and Museum of Old & New Art in Australia. China china news, top things to see, unesco heritage site. permalink.